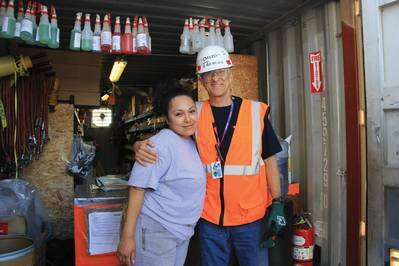 Walk with David M. Thomas, Jr., VP & GM, San Diego Ship Repair, BAE Systems, and a few things become immediately clear: Dave Thomas is passionate about cleanliness and order, as the San Diego yard is compact and bustling with work, yet impeccably clean. Dave Thomas is passionate about safety, and he takes the health and welfare of every employee, colleague, client and guest personally. Most of all, Dave Thomas is passionate about everything U.S. Navy. Following a distinguished U.S. Navy career, his second act is ensuring that this big, meticulous client and the ships that it operates are ready and able for any mission that might fall to them, anywhere in the world. 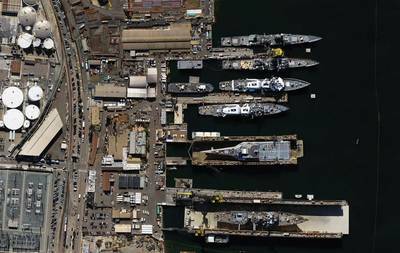 San Diego has always been a navy town, but as the U.S. Navy works toward the stated goal of a 355-ship navy combined with its ‘pivot west,’ there is obvious growth in and around this major southern California city. In fact Thomas is seemingly part of the ‘pivot west’, as us until a year ago he held the same position at BAE Systems’ Jacksonville, FL, yard before accepting the San Diego assignment. 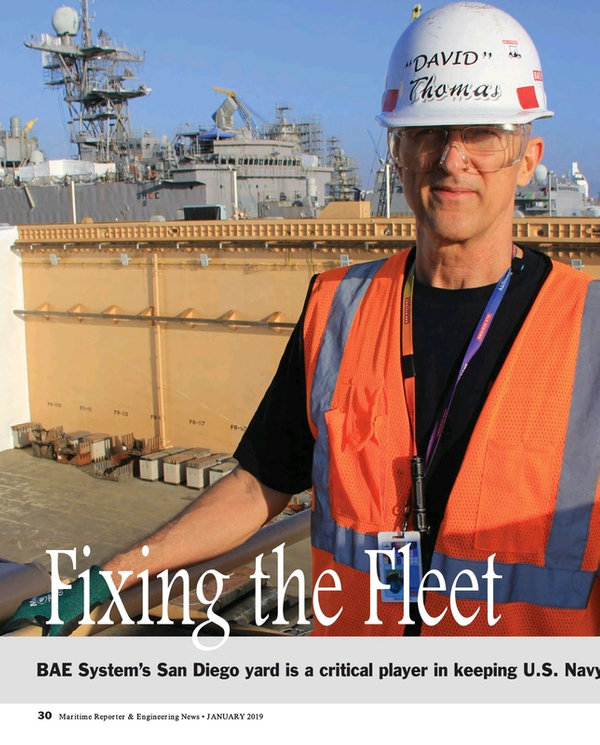 “The opportunity to continue to repair and modernize navy ships attracted me to the position in San Diego, but really it’s the same customer, different coast,” said Thomas. But in San Diego the size and diversity of the Navy presence is evident, as there is everything from aircraft carriers, to the large deck amphib class ships, the LPD17s, the cruisers, destroyers and minesweepers, as well as the addition of the new DDG1000, and LCS populations. • USS Sterett (DDG 104), Guided Missile Destroyer (DDG). While a shipyard’s facilities, particularly docks and lift capability, are an obvious part of its success, Thomas maintains that without a qualified employee base and competent subcontractor network, the best facilities are of little use. “People are most important, without question,” said Thomas. “The facilities are incredible too, but without the right team, without the right leadership, the facilities don’t matter as much.” To this end, the company is investigating an apprentice program for long-term workforce developmet. 3.It’s not my shipyard, it’s our shipyard. If you see a way to improve it, speak up. Length, Over Pontoons 852 ft.
Clear Width Between Fenders 162 ft. Maximum Design Draft 65 ft. Length Over Pontoons 528 ft.
Clear Width Between Fenders 106 ft. Maximum Design Draft 38 ft.